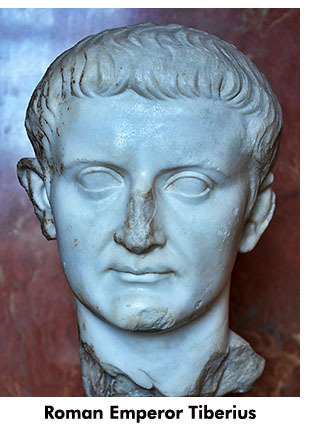 of the Time of Tiberius? We will consider the notion that Jesus is the product of dramatic genius from other stand-points. Have the evangelists given form and voice to national ideals? Jesus cannot be in those writings the crystallization of national legends; there are no such legends. Had these writers constructed the character out of national legends or national hopes Jesus would have been a national deliverer, not a personal Saviour, talking to men of sin and salvation. He was not at all, as these writings and as other Hebrew writings make plain, the nation's ideal of a hero and deliverer. Jesus was any thing but such an ideal; he utterly spoiled the national ideal of the Shiloh who was to come; he disappointed every expectation that rose to greet him. Once, when the people and the priests thought they might use him as a national leader, they tried to force a king's crown upon his head. He refused their crown, and they crucified him. There is another fatal objection to the notion that Jesus is only the invention of four romance writers, suddenly springing up among a people who did not write romances. If they invented him we should have four Christs, not one. There are differences enough in their statements that we cannot explain in any honest way, but that would, I suppose, cease to be differences if only we knew all the facts to show that these writers were not in collusion to tell a story that would hold together. We do not know all the facts; St. John, you will remember, tells us that many things are not recorded; perhaps we have only the smaller part of them. These four men are not alike; no two men are. They differ in style and, therefore, in temperament, gifts, training, and character. They are as different as any four writers you know; for illustration, as Carlyle, Emerson, Macaulay, and Irving differ. To make plainer the thought I wish you to consider, take Satan as a character in literature. Compare the Satans of Milton, Goethe, Bailey, Browning, and Byron. These writers show us five, not one chief of devils. They are as unlike as their authors; and they are like their authors. Only a woman could have drawn the Satan of Mrs. Browning. Milton's Satan is a copy of the Miltonic intellect and charactergrand, scholarly, metaphysical, austere; Puritan is the hero of the Paradise Lost. Bailey's Satan grew in the atmosphere of Temple Court, and is a London lawyer of the first order with a diabolical nature. Byron's is like Byronbrilliant, moody, desperate, and vain. Goethe's is German, and brought up in Weimar. He is like the high-priest and poet of materialism who gave us Faust; like Goethe, university bred, learned, scientific, literary, all-accomplished, gay and cynical by turns, a man of the world, gentlemanly even in diabolisms, one familiar with the best society, cosmopolitan in his tastes, and nineteenth century in dress and manners as well as in his opinions and habits. But these four men who wrote of Jesus, these men so different in their training and manner of lifeMatthew, who had been a tax-collector under the Roman Government; Mark, a mere child when Jesus was among men, and brought up under a careful mother; Luke, a "physician beloved;" and John, a fisherman of Galileethese have given us one Jesus, not four. The differences are such as four photographs of one man show in different postures taken by the same artist in the same day. No matter by whose pen recorded, the words and deeds of Jesus in the four gospels are the words and deeds of one man. But there is another view of the notion that the evangelists invented the character of Jesus. Granting that these men had the mental and spiritual capacity to have created such a character as that of Jesus; granting that, by some strange chance, although without precedent or succession, and in utter contradiction of all we know of the laws of the human mind, these writers, in themselves and their circumstances so different, invented not four, but one character, there is another thing to be considered, and it alone is conclusive: they were bound to have invented a different Jesus from the Jesus of the gospels. It is impossible but that these men were under the influences that not only characterized their times but made them what they were. The gospels themselves show that these men were not only thoroughly Hebrew in their thoughts and dispositions, but Hebrews of that period. No writer can any more escape the intellectual and moral atmosphere of his time than he can escape the heredity that is in his blood. These influences will show themselves in any work of the imagination as certainly as children will resemble their ancestors. Now Jesus, though a Jew, is not like his time or people. He is a Jew only in blood; he is not a Jew in thought or character. The Jew of that period, saying nothing of what was past or of what was to come to that most wonderful people, was narrow in his sympathies; Jesus was as broad as humanity. The Jew was exclusive; Jesus made welcome all who came to him. The Jew had small toleration for opinions that were not his own, and none for men of other races; no cosmopolitanism, or even Christian charity, has ever yet reached the divine tolerance of Jesus. The Jew felt only contempt for the mongrel tribes of Samaria; Jesus makes a Samaritan teach us universal brotherhood. The Jew felt that contact with other nations defiled him; there is not in Jesus the faintest flavor of any sort of race or caste prejudice. The master passion that dominated Jewish life in the days of Jesus was a fierce patriotism that expended its fires in bitter and undying hatred of Rome; Jesus, while loving his people and weeping over their impending calamities, said, "Love your enemies." If these writers were inventing a character when they wrote the gospels their hero would have been in sympathy with his time and people. Such a Christ would have unfurled the lion-ensign of Judah, and every sword would have leaped from borders of Edom. But Jesus paid tribute to Caesar and commanded his disciples to do it. Of Jesus we may well say what he said of himself: he is "The Son of man." He belongs to all; he is a universal character, and the only one in history. He is brother to every human being; he loves one as well as another and each one perfectly. He means as much to us of today as to those friends in Bethany whom he loved, or as he meant to that "beloved disciple" who leaned upon his breast at the Last Supper. The necessary conclusion is, such a character could not have been created by dramatic genius, least of all by the four writers of that period who have given us the gospels. The Jesus of the gospels must have lived, to have been conceived or described. This conclusion agrees with the method these writers adopt in presenting this character to us. It is the method of perfect simplicity. They nowhere try to tell us what he was or what he was like. There are no comparisons, no analyses of qualities, no character-sketching; there is no effort, not the least, to draw a portrait of him. They simply write down what they saw him do and what they heard him say; and they make it plain that they understood neither his deeds nor his words, and that least of all they understood him. The loftiest genius could not have invented the character of Jesus. Plain men, like Matthew, Mark, Luke, and John, could write of a life that was lived; they could write down the words they heard him speak; they could record the story of the good works they saw him do, and so make us to know Jesus, "who and what manner of man he was."